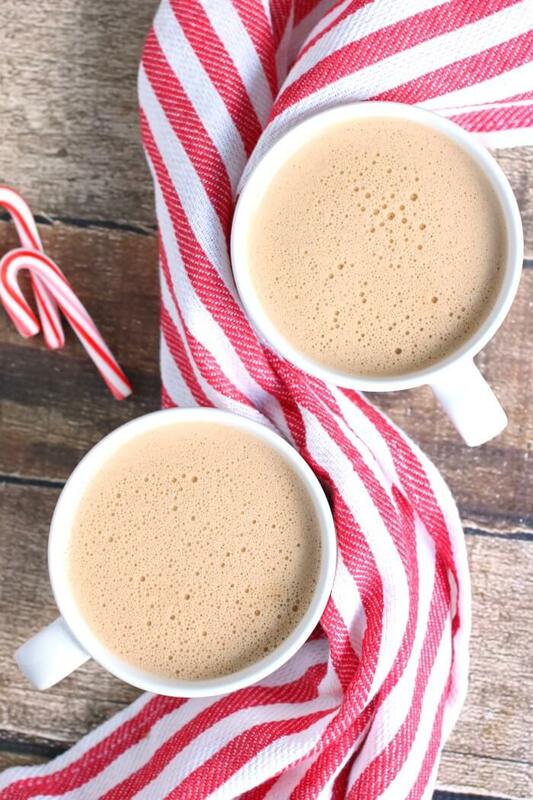 Keto Peppermint Mocha is the perfect treat for those mornings when you want to celebrate holiday flavors without holiday guilt! 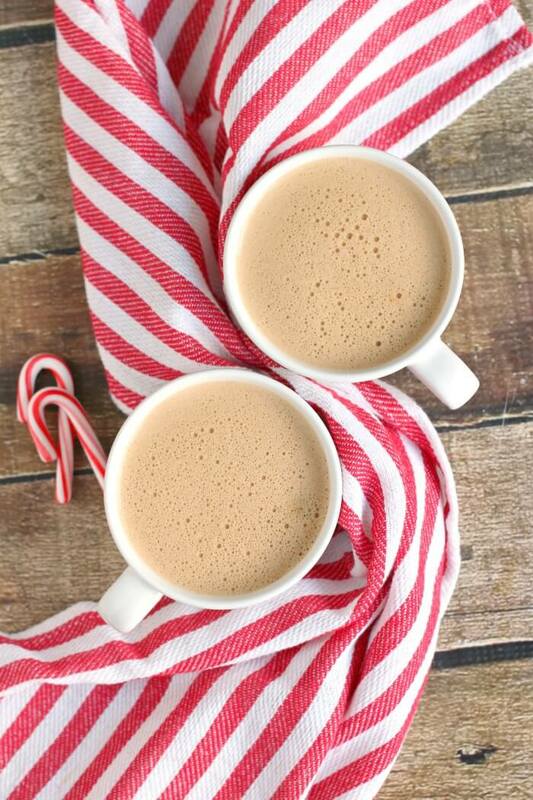 Keto Peppermint Mocha is so easy to make and tastes delicious. It’s creamy and frothy and won’t throw your diet into a tizzy! When you can’t justify the indulgence of traditional peppermint mocha, this is the way to go! You can enjoy Keto Peppermint Mocha on it’s own, or try it with our egg casserole, breakfast casserole, or some poached eggs. This Keto Peppermint Mocha article is sponsored by Omega PowerCreamer. All content and opinions belong to Mama Loves Food. Coffee – I like to brew a really strong cup of coffee for this recipe, strong and hot! Peppermint extract – Make sure you’re using peppermint extract from the baking aisle and not peppermint oils. They are very different things. 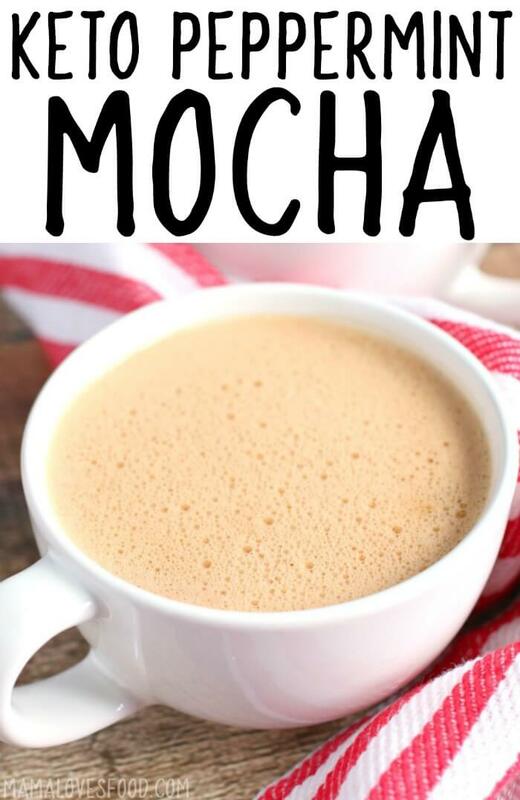 Chocolate creamer – We used Omega PowerCreamer’s Cacao flavored keto compliant coffee creamer for this and it’s perfection. Next add your peppermint extract, and then your chocolate or cacao flavored creamer. Finally, blend with your upright blender or an immersion blender until frothy. 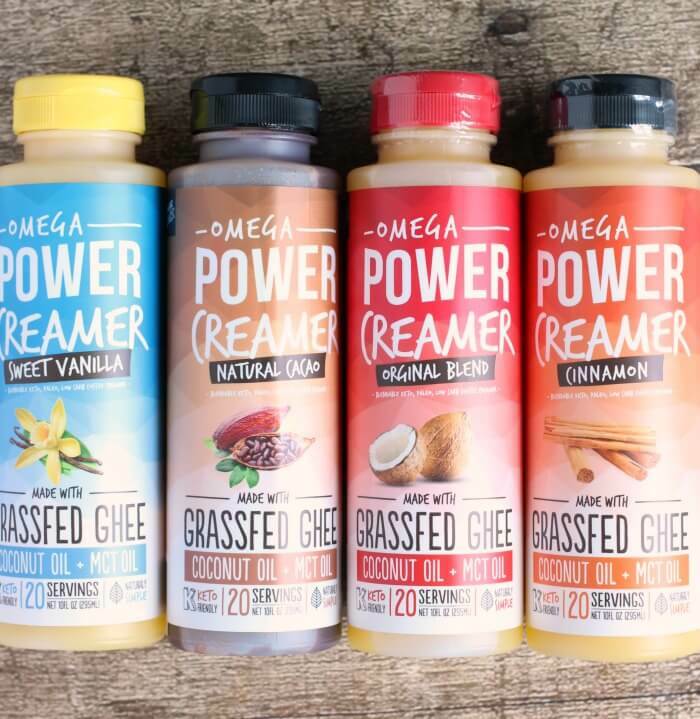 Omega PowerCreamer is a keto compliant coffee creamer that provides high quality fats to your morning coffee. The easy to use, All-in-1, blendable creamer gives you the same great benefits of Keto Coffee without the mess and hassle. 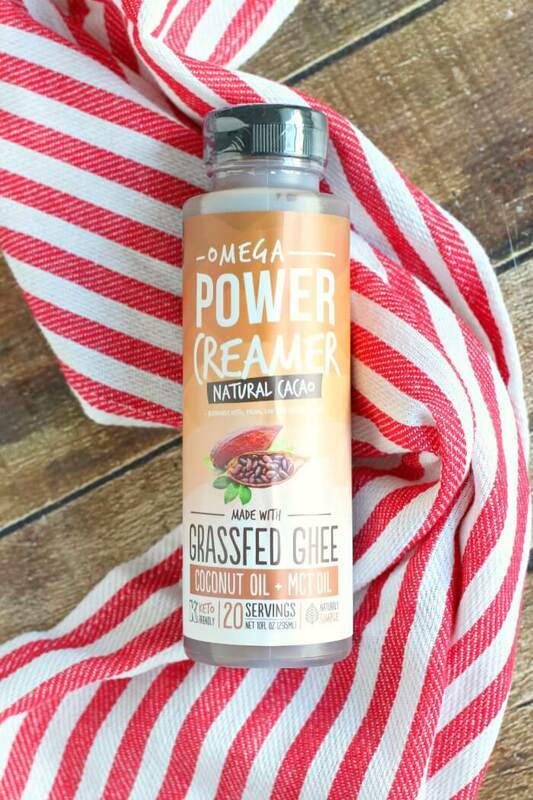 PowerCreamer was designed to make it super convenient and great for when you’re on-the-go. Just pour in, blend up, and enjoy. Now in 4 flavors – Original, Vanilla, Cacao, and Cinnamon. We’re using the cacao flavored creamer in our Keto Peppermint mocha and it’s made up of just a few simple ingredients: Grassfed Ghee, Organic Coconut Oil, MCT Oil (Medium-Chain Triglycerides), Organic Raw Cacao Powder, Sunflower Lecithin. 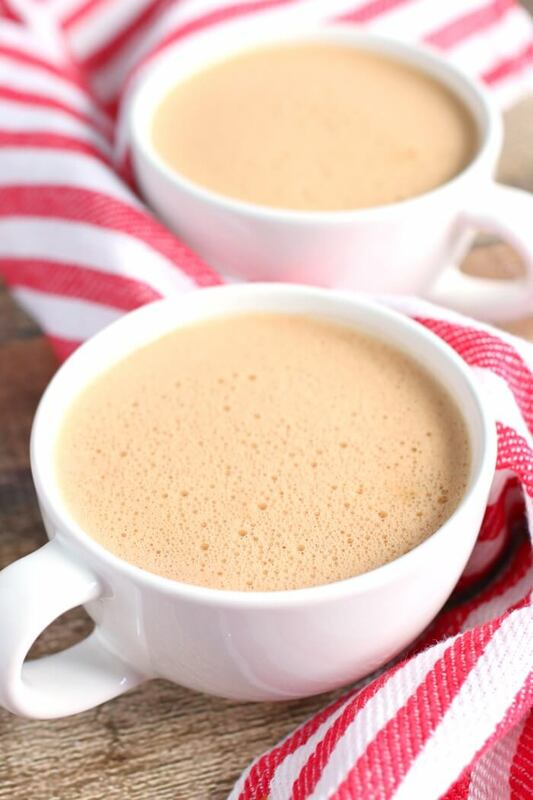 You know how much I love my Bulletproof Coffee, and this creamer makes it so much easier to make – and adds delicious flavors at the same time! Available directly on their website and also on Amazon! 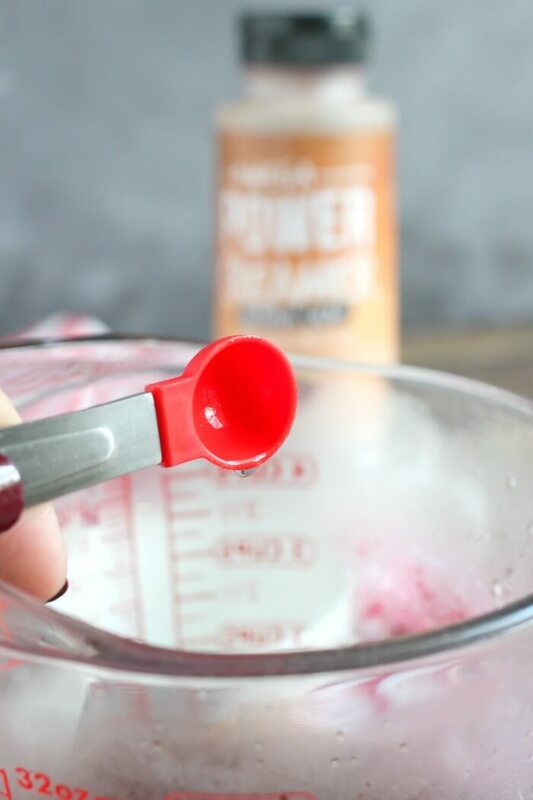 Here’s a fun hint – you can use the Omega PowerCreamers in recipes too. Add the cinnamon, cacao, and vanilla to keto desserts, and use the original blend in place of oils or butter. Or just make lots of fun keto coffees! Keto refers to the ketogenic diet. A keto diet is low in carbohydrates and high in fats. It causes the body to produce ketones in the liver to be used as energy. It’s referred to as many different names – ketogenic diet, low carb diet, low carb high fat (LCHF), etc. When you eat something high in carbs, your body will produce glucose and insulin. 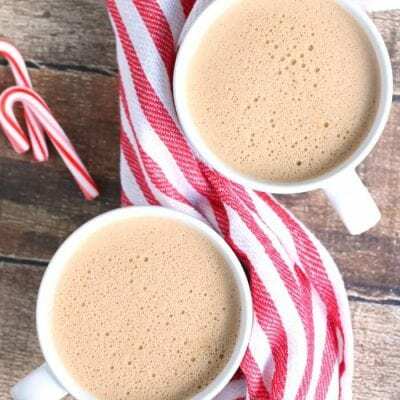 Really the only tools you need to make this keto peppermint mocha are a coffee maker and a blender. I’ll share the ones I have and love below! Single Cup Brewer – I’m the only regular coffee drinker in our home, so the single brewer definitely gets the most use. Traditional Coffee Maker We always keep a traditional coffee maker handy so we can brew a full pot for guests too. Upright Blender – When I’m making a large batch of the Keto Peppermint Mocha, I’ll use my upright blender. Immersion Blender – The immersion blender is perfect for single cups of keto coffee. Don’t try to blend it directly in the coffee mug though, you’ll make a mess! 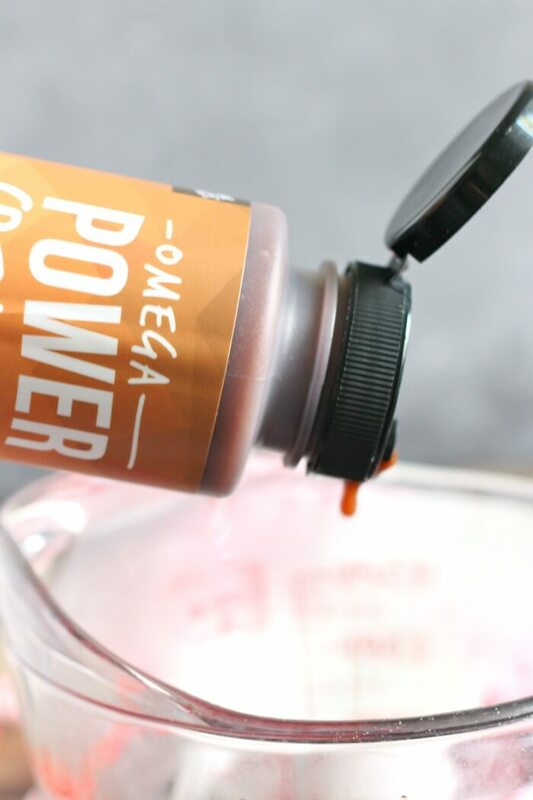 Omega Cacao PowerCreamer – This is the secret ingredient to making the perfect Keto Peppermint Mocha! Brew coffee and pour it into an upright blender or into a large heat-proof container (I use a 4 cup measuring cup). Blend until frothy, and serve in your favorite mug! « Hamburger Salad – The BEST Loaded Burger Salad! Just go ahead and slide of that yumminess my way! Thank you for this healthy recipe.